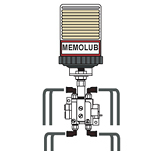 A Multi-Point Lubricator is an automatic lubrication system that delivers a metered amount of lubricant to multiple lube points from a centrally located lubricant reservoir. 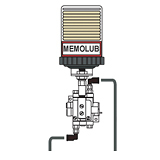 Our MEMOLUB MPS (Multi-Point Systems) combine the 350psi output pressure of the MEMOLUB HPS series of lubricators with a progressive distribution valve to form a cost effective central lubrication system. 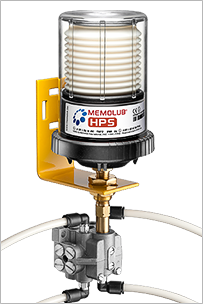 MEMOLUB HPS lubricators are available in a wide variety of power and control options to your match your production requirements. 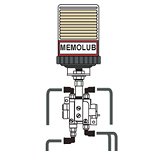 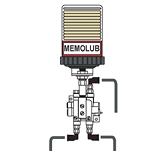 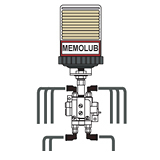 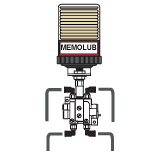 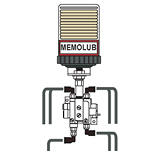 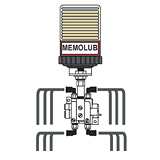 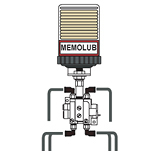 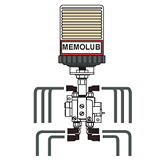 MEMOLUB MPS systems provide a very simple, cost-effective solution to multi-point lubrication. 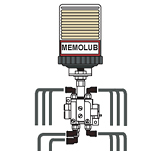 * Multi-Point Systems with more than 8 outlets have restrictions on tubing OD, tubing length and the viscosity of the lubricant. 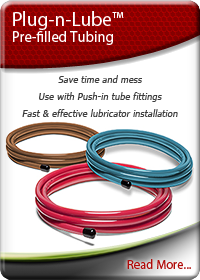 Please call our staff at 800-635-8170 to answer any questions about sizing and installing your MPS System.